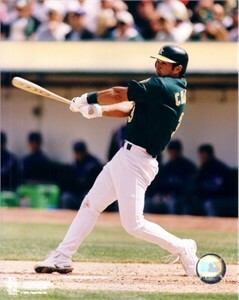 Officially licensed 8x10 photo of former Oakland A's star Eric Chavez. Has very minor flaws/wear. NOT AUTOGRAPHED. ONLY ONE OF THIS POSE AVAILABLE FOR SALE.